World War II bomb halts German city – Royal Times of Nigeria. Almost 10,000 people were forced to leave their homes in central Potsdam on Wednesday as authorities defuse a World War II bomb. 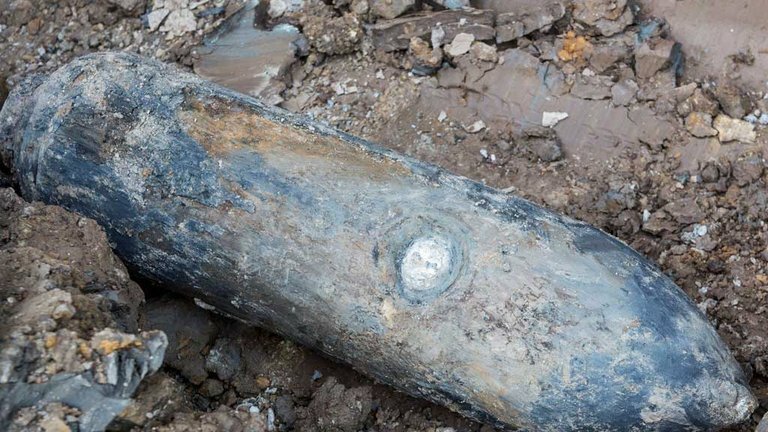 The 250-kilogramme U.S. aerial bomb was found on Monday on the grounds of a bank opposite the city’s main train station, resulting in the cancellation of rail and public transport services during the peak-hour period. The authorities cleared an area of about 800 metres around where the bomb was located in the centre of the city, just south-west of the Berlin city limits. Businesses and services within the evacuation zone were affected, including several nursing homes, schools and daycare nurseries as well a large hotel, a swimming pool and the regional parliament building. World War II, also known as the Second World War, was a global war that lasted from 1939 to 1945, although related conflicts began earlier. It involved the vast majority of the world’s countries—including all of the great powers—eventually forming two opposing military alliances: the Allies and the Axis. Coalition to hold ethnic nationalities summit in October.